This is the newest specialty Bible published by Holman and distributed by Lifeway Christian Stores. 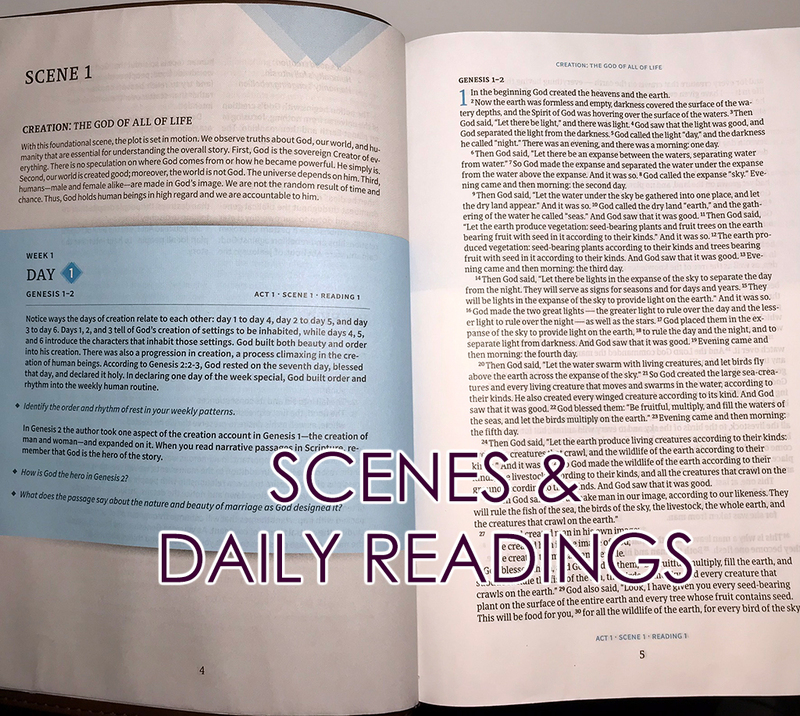 The Day-by-Day Chronological Bible is presented in their Christian Standard Bible translation which I reviewed here. Based on my interaction with the Bible, I can honestly say that it’s unique. 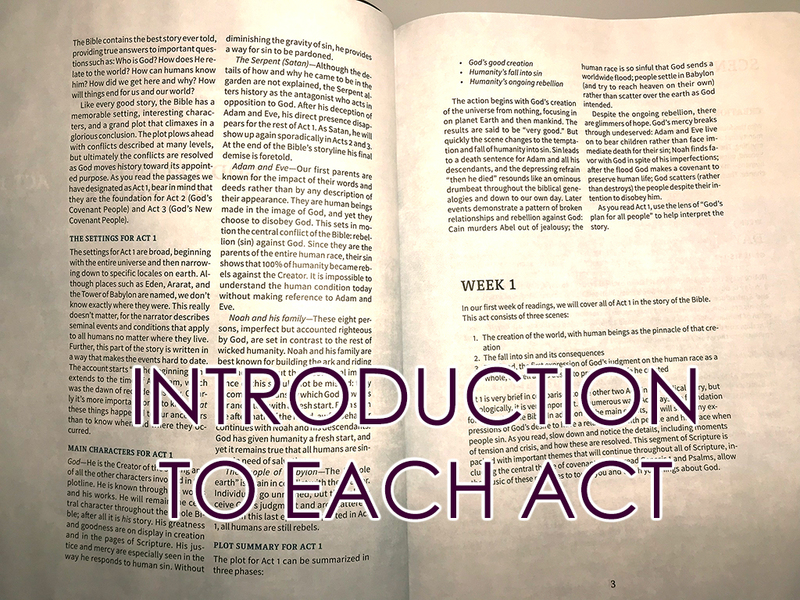 The Day-by-Day Chronological Bible presents the story of the Bible as a play with 3 “acts” and 17 “scenes.” Act and scene introductions read a lot like SparkNotes complete with setting, main characters, and plot lines. 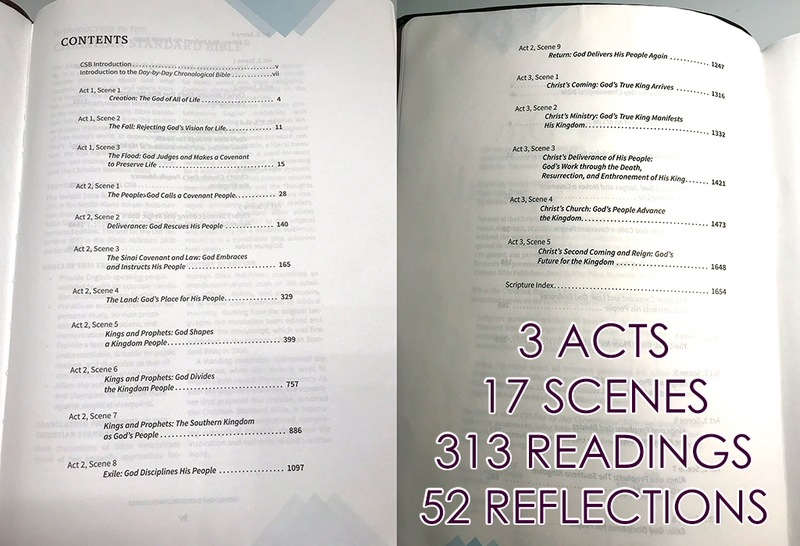 The narrative notes by Dr. Guthrie serve not only to fill in historical gaps but also to clue the reader into key themes and life application. 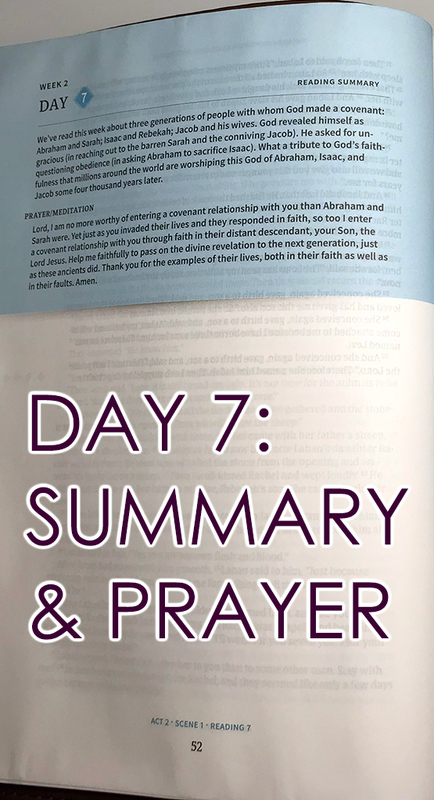 The Day-by-Day Chronological Bible is divided into 52 weekly readings (6 days per week reading the Scripture, and 1 day to reflect and pray). It is laid out in single-column format with extra-wide margins. In exchange for this writing space, there are no cross-references or translator’s footnotes. This is NOT an abridged version of the Bible which means that all the verses are presented…they’re just in a much different order than what you might expect. For example, the book of Job in sandwiched in between Genesis and Exodus. This makes sense since it’s one of the oldest books of the Bible. Dr. Guthrie’s notes help to set the stage for Job so it doesn’t feel like it was randomly placed there for no reason. It also helps it feel like time is elapsing between Joseph’s death and Moses’ birth. The Bible opens with a Psalm, then: Genesis – Psalms – John – Job – Exodus, and so on. Therefore, to help you find a specific passage, the publisher chose to ditch the concordance and provide an index of books, chapters, and page numbers. 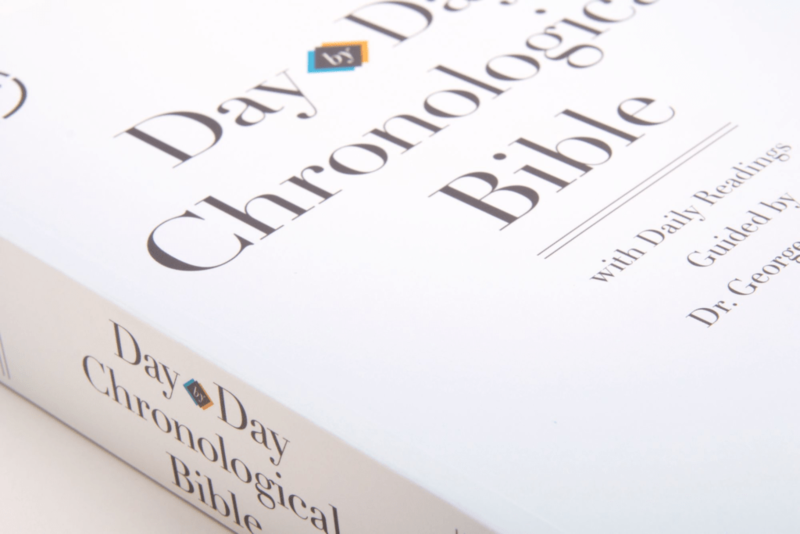 NOTE: The Day-by-Day Chronological Bible is published by Holman and distributed by Lifeway Christian Stores. It is immediately clear that the introductions, plot lines, narrative, questions for reflection, and subtitles reflect a conservative evangelical doctrinal viewpoint. 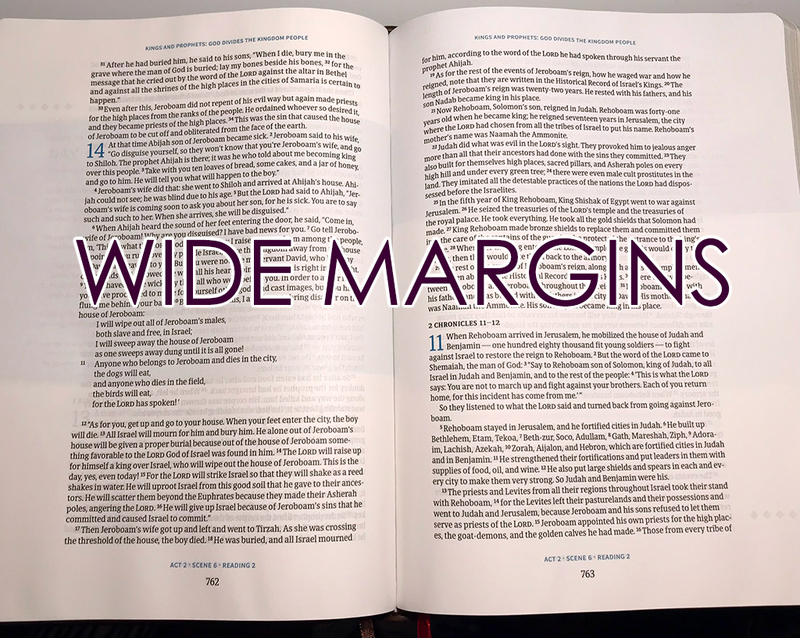 It’s important to keep in mind that this is ONE way to interpret the scriptures, but someone in another denomination may have interpreted stories and passages differently. I recommend this Day-by-Day Chronological Bible as a supplemental resource to be used for devotional purposes. It will be especially useful to those who wish to read the Bible through in one year. Click here to purchase the Day-by-Day Chronological Bible by Holman.